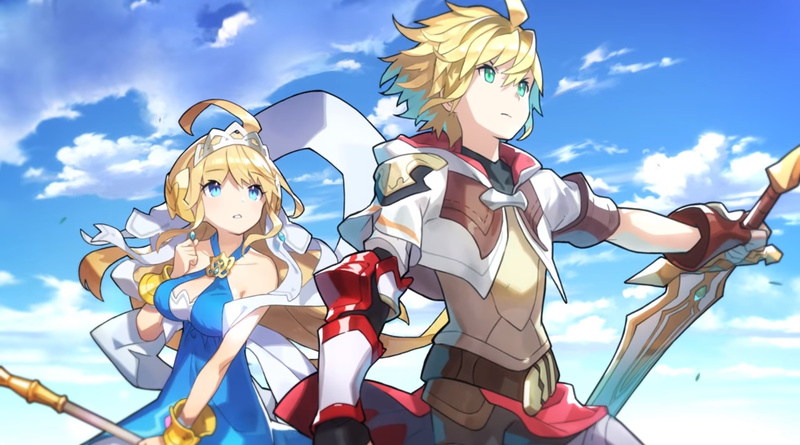 Dragalia Lost has been a tremendous success for Nintendo and Cygames since its limited launch in September. Within the first two weeks, it outperformed Animal Crossing: Pocket Camp and went on to become Nintendo's second largest mobile launch in the US and Japan. According to the latest data from Sensor Tower, the game has now grossed $50 million in player spending across the App Store and Google Play in its first 70 days. More than half of this (60 percent, to be precise) is tied to the iOS player base. In contrast, Fire Emblem Heroes - the most successful Nintendo mobile game so far - made $75.8 million in the same amount of time. However, Dragalia Lost is ahead in terms of revenue per download - with an average of $22 spent on the game per install compared to Fire Emblem players who have spent roughly $9. Once again, the top two countries spending money on Dragalia Lost are Japan and the US. Japan makes up around 66 percent of total revenue (per install this equates to roughly $35) and the US represents about 18 percent of player spending, with the average of each transaction at the $10 mark. Currently, the title is ranked the 28th game on the Japanese App Store in terms of revenue, and in the US it's 116 on the charts. Have you made a transaction in Dragalia Lost? Are you still waiting for it to be released in your region? Tell us below. I actually would like to try this game out. But... it is not availble here. This amounts to the same level of "player spending" as shifting about 800.000 copies of a full-price boxed game across the major regions would. Certainly not too shabby for DeNA's little henchmen at Cygames. I wish i could play this with my european account. I donn’t mind it not coming here, even ever. What grinds my gears is the complete lack of respect of the European fanbase with total silence. Welcome to the PAL age. I am astonished at what people will spend money on- this was a competent and pretty and utterly unremarkable mobile RPG. Nintendo has before and will again release genuinely good adventure games- and hopefully they'll continue to be complete experiences without incentives to pay threaded throughout their systems. What need is there for this pap, from any publisher, but from Nintendo especially? Fine, I’ll own up, I spent money on this... I think $5? I take partial blame. To be fair I’ve probably logged well over a hundred hours into it, I think I’ve had a lot of restraint in my spending. The game probably required a lot less money to develop, while they are able to rake in the profits. From a business standpoint this was a smart move. I personally wouldn't spend money on a F2P mobile game that's as basic as this, but the profits from these mobile games only help them fund bigger games on their platforms. It's a win-win. I haven’t spent a dime on the game, but I like it a lot. A bit repetitive, but the characters, stories, and interactions are absolutely charming. I’m glad it’s doing well. I do wish this would come out in Europe so I could play it. Same. They are probably still working on the localization. @Frenean And since it’s been a success, we might see a sequel come to the Switch. Nintendo’s deal with Cygames appears to be paying off. @KoekiieWoekiie I installed an APK weeks ago and the game looks really good, but with the first update I the app did not work anymore. I like it! I play it very casually now, but the first two months were a total blast when I played it much more. I don't mind the money I poured into it--the artwork is amazing and you can tell they have a full blown staff working on it tot make the art, dialogue and game elements unique and plentiful. 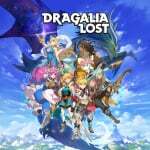 Dragalia Lost? More like Dragalia Lost your money. I would but still cant. Im in Canada and the store says i do not have a compatible device. It's not like i have some obscure phone its a Google Pixel 2. Dragalia Lost, more like Dragalia Can't Find Europe. Ahh mobile gaming. The newest incarnation of the vending machine that eats your dollars. @IHateTombs The game is actually good. Apparently Nintendo is refusing to release this game on Canadian app stores. Oh well, one less thing to spend money on I guess. Nintendo has really been neglectful of Canada as of late. @earthinheritor It's because Nintendo doesn't like to comply with Canadian rules including both Official Languages. @DarthFoxMcCloud Such BS Canada always get screwed by Nintendo for no good reason. I've spent $9 on the game. I've played it for many hours and really enjoyed the little story. I also enjoy the new events every couple of weeks. I like the IP a lot and would love to see this fleshed out into a full RPG for the Switch (minus the microtransactions). For the hours of entertainment its given me, $9 is a small price to pay. I don't see why they can't release the American English version in Europe. I could live with non-British English until they release a proper translation.